Why were racist mascots selected to represent American sports teams? What is the fate of Confederate statues? Why are stereotypical symbols so powerful in America today? These questions and more will be answered at Mascots, Myths, Monuments and Memory, a symposium held Saturday, March 3, from 10 a.m. to 5:15 p.m. to examine the history and contested memory of racialized mascots, Civil War monuments and other public memorials. 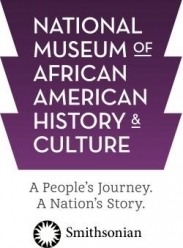 To be held in the Oprah Winfrey Theater of the Smithsonian’s National Museum of African American History and Culture (NMAAHC) and cosponsored by the Smithsonian’s National Museum of American Indian (NMAI), the six-hour symposium will address the politics of memory and the tension between history and memory. Lonnie G. Bunch III, director of NMAAHC, and Kevin Gover (Pawnee), director of NMAI, have assembled more than a dozen scholars, activists, elected officials, artists and athletes to grapple with conflicting interpretations of American history in light of events like the demonstrations at Charlottesville, Va., the controversy over the name of the Washington, D.C., football team and the debate over whether Confederate monuments should be removed from public spaces. Contested Symbols in Sports and American Culturecommences the symposium at 10 a.m. with a panel discussion on racist mascots representing American sports teams. Gover will be joined by Ray Halbritter (Oneida), CEO and nation representative for the Oneida Nation Enterprises; Jennifer Guiliano from Indiana University; and Mike Wise, sportswriter for ESPN’s The Undefeated to discuss how communities are historically recognized or misrecognized. Ibram X. Kendi, the National Book Award-winning author of Stamped from the Beginning: The Definitive History of Racist Ideas in America, will give the keynote for the symposium at 1 p.m. Drawing from Stamped from the Beginning, Kendi will dissect entrenched inequality, structural racism and racial violence throughout American history as he calls for the removal of Confederate symbols. From 2 to 3:30 p.m., artists and activists will discuss the impact of 19th- and 20th-century racialized symbolism today in The Politics of Memory. This panel includes moderator Lonnae O’Neal, senior writer for ESPN’s The Undefeated; American filmmaker, musician and activist Bree Newsome; writer and policy analyst Julian Brave Noisecat (Canim Lake Band Tsq’escen); and assistant professor of history at American University Andrew Demshuk. Bunch will lead the third panel, Monuments and Power: Memory vs. History from 3:45 to 5:15 p.m. This panel will explore the relationship between memory, power and identity and discuss the next steps after the removal of historically and culturally insensitive monuments. Moderated by museum curator Paul Gardullo (NMAAHC), speakers include Tom Finkelpearl, commissioner of the New York City Department of Cultural Affairs; Aaron Bryant, museum curator (NMAAHC) and chair of the Special Commission to Review Baltimore’s Confederate Monuments; and Gus Casely-Hayford, director of the Smithsonian’s National Museum of African Art.